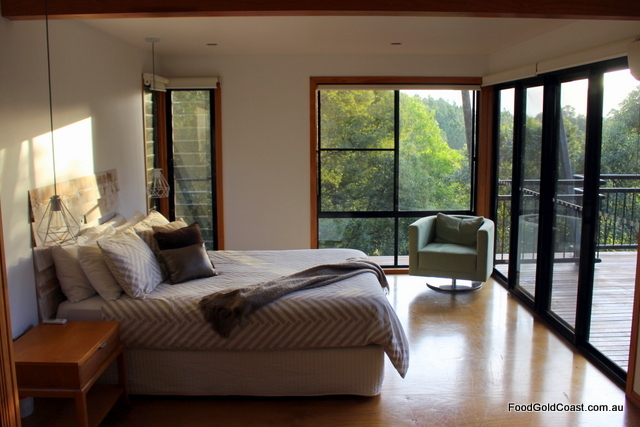 It’s the perfect winter escape away from the Gold Coast and into the forest; a weekend away in the Tweed Valley. The Tweed holds many attractions to explore: the magnificent Tweed Art Gallery, Mavis’s Kitchen with its own kitchen garden, Carool’s coffee plantations, winery and Potager, as well as craft galleries and farms set in a natural scenic wonderland. The region also has historical significance. 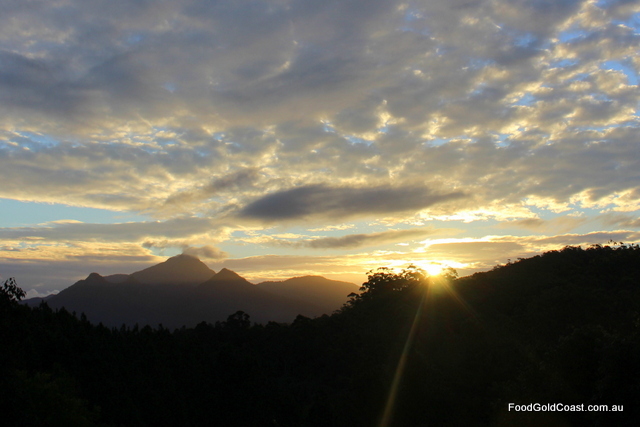 For centuries, the heritage-listed Mt Warning has been a site as sacred to local Aboriginal tribes as Uluru. To us, there’s something mystical about the mountain; a magnetic stillness and sense of healing gained in the heart of this green oasis. So, it’s one of our most popular retreats. Tonight, we’ll be staying in the forest. 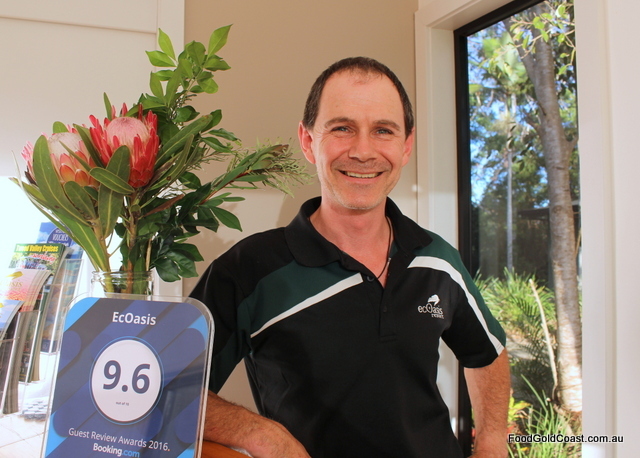 Nestled on a mountainside on over 100 acres of rainforest just an hour from the Gold Coast, EcOasis offers guests a choice of six luxury chalets where they can relax in total privacy and comfort. Karissa and Peter Bell bought the property in 2015 and have spent the past three years ‘putting the love back’ into the resort, renovating the buildings and adding a personal touch to the service and experience. Warmly welcomed when we arrive in the late afternoon, it’s time to relax and enjoy the sunset behind Mount Warning. 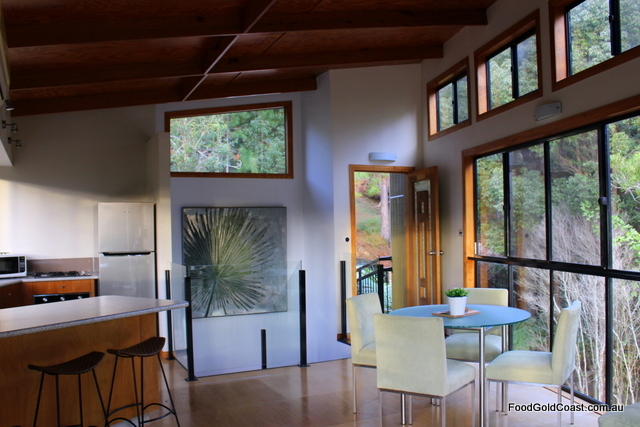 The chalet’s wall to ceiling glass offers panoramic views of the forest and skyline. As black cockatoos weave their noisy path overhead, Eastern whipbirds bid farewell to the day as the sun’s rays change from white to orange as darkness descends. The profound silence of the bush at nighttime is almost unnerving for city dwellers without the distraction of electronic devices; a rare chance to catch up on ‘together’ time. The privacy of the chalet encourages us to share champagne on the deck, a hot spa in the claw-footed tub, and romance, with dinner delivered to the chalet by our hosts. Refreshed and stress-free, we wake to morning mist across the valley before the birds take up their songs again. 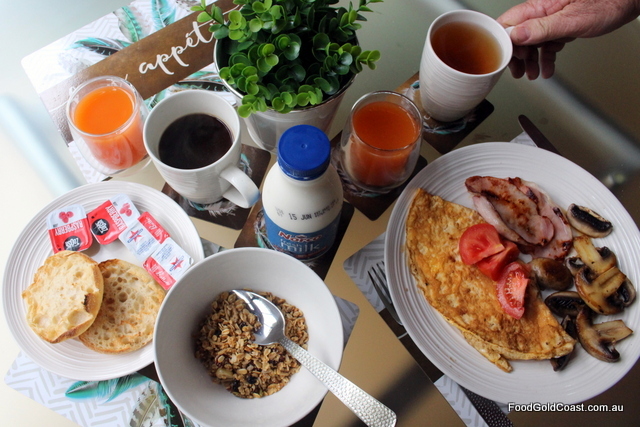 After cooking breakfast from the generously stocked fridge, it’s time to venture out to Uki, a 10-minute drive away. 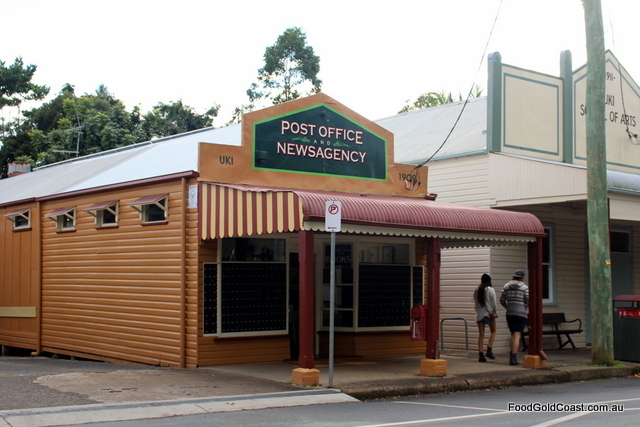 Within the walls of the restored 109-year-old Uki Post Office, ex-corporate high flyer Gary Wall has founded a community hub, including the post office and newsagency, an art gallery corner ‘Art Post Uki’ and a coffee shop. The gorgeous restoration of the heritage-listed building alone is worth seeing, with its open-face hoop pine shelving and timber counters, the original front windows and roasting room behind the server still to be completed. More than anything, it’s Gary’s attitude that impresses us: his goal to build engagement in the community, at the same time driving revenue by creating more jobs in the area. The gallery sponsors a monthly picnic in the park, held to coincide with the launch of an Art Post gallery launch of a new local artist, the area being home to significant artists such as David Preston (who drops in during our visit), Susan Keneally, Matt Ottley and Tina Wilson. Wine, music, art…we could also see Art Post as the site of book launches for local authors. 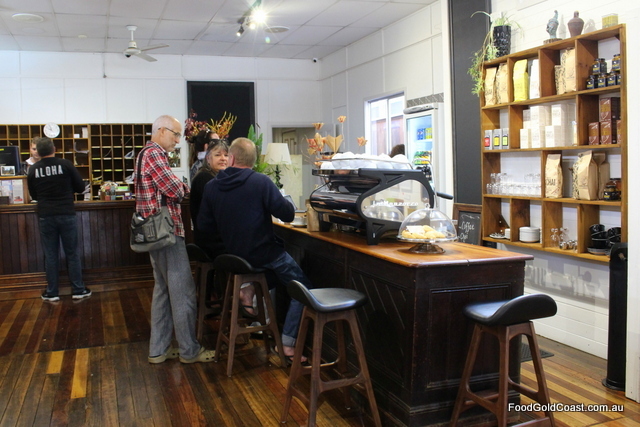 Open from 6.30am on weekdays and 7.30am on the weekend, by the time we rock in at 9am, there’s a steady hum of activity around the post office and coffee machine, small groups stopping to chat without heed for the ‘out-of-towners’. After our short tour of the roasting room and its fully automated 12kg Diedrich roaster, we look forward to the launch of Gary’s label Bastion Lane Coffee later this year. 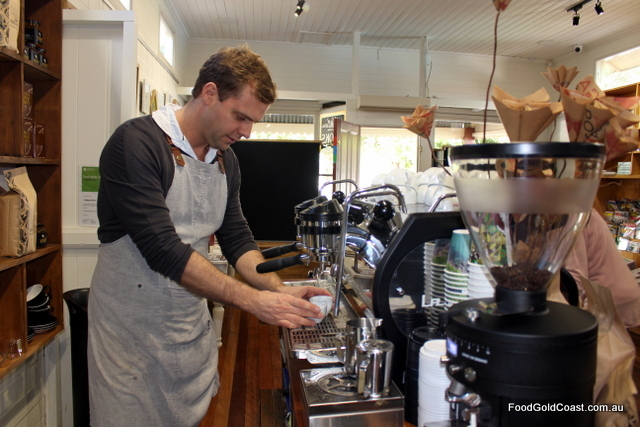 After coffee, there’s a whole river to be explored on a cruise with Mt Warning Tours. 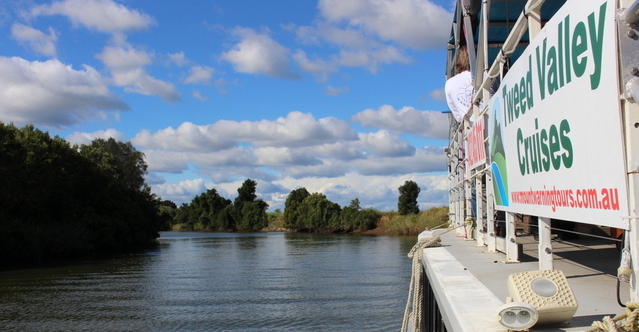 On board the Spirit of Wollumbin we set off on a three-hour cruise up the Tweed and Ruse Rivers as owner-operator Michael Simmons tells us about the history of the area, pointing out local bird life along the route. 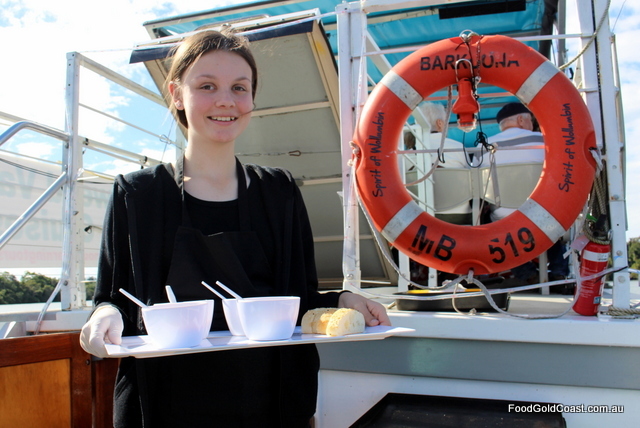 We’re enjoying one of several cruises in a remarkable area of rainforest on a route travelled by steamers than ran from Murwillumbah to Tweed connecting townships along the Tweed with the railway at a fare of 3/6d return. Prices may have changed, but there are still many natural wonders along the route. We pass the award-winning Husk Distillery, Australia’s only paddock to bottle distillery, and the heritage-listed Stott’s Island, home to many different species of birds including twenty-five species of raptors, before heading up the Ruse River to gain a clearer view of Mt Warning. It’s a route used by logging companies sending their timber down river to the mill a hundred years ago. 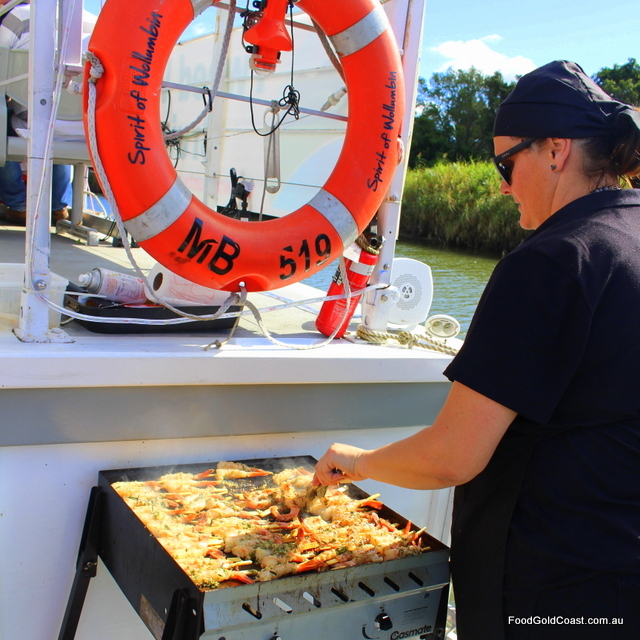 On board the cruise, we are served a five-course lunch prepared by caterer Karissa Bell; a degustation of fresh local seafood and produce from the area garnished with bush food from local suppliers. 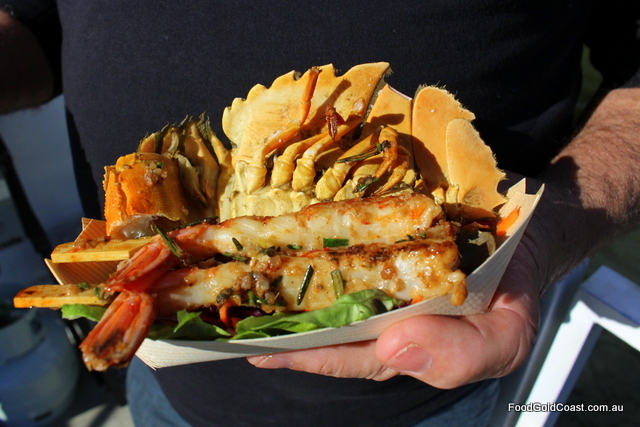 Asian prawn linguine, Moreton Bay bugs, marinated seafood on the BBQ…it’s a tasty feast served in individual portions which we eat while enjoying the view and commentary. As the sun begins to drop in the sky we take the short return trip to the coast, prepared for another working week after a weekend nourished by the Green Cauldron. 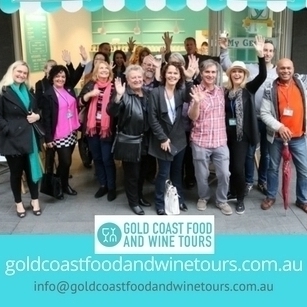 NOTE: Good Food Gold Coast were guests of EcOasis and Mt Warning Tours. 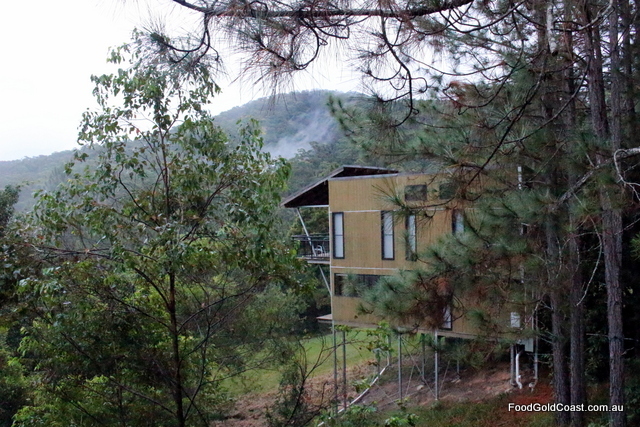 EcOasis Resort, 55 Tatyewan Ave., Smiths Creek NSW 2484 Ph: 02 6679 5959 Chalet prices range from $325 per night. Mt Warning Tours, 108 Riverside Drive, Tumbulgum, Departure times: 10.30 every Wednesday and Sunday or on request. RRP $119.00 per person (Includes 5 course degustation, unique rainforest cruise and drinks on board). 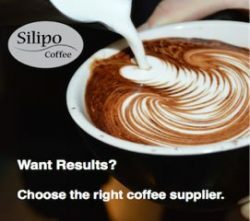 Call 0422 405 011 or book via website.